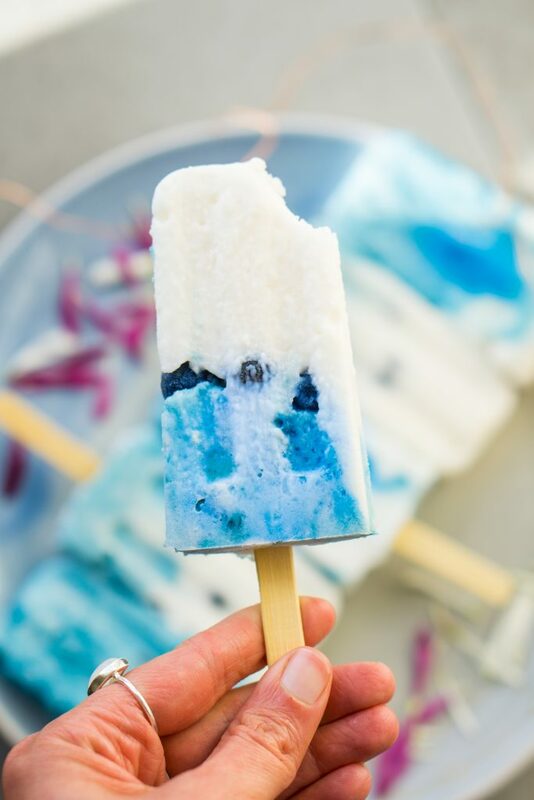 Blue Magik Coconut Yogurt Popsicles (vegan, keto, paleo & body ecology) is the perfect recipe not that the summer heat is in full force for most of us. 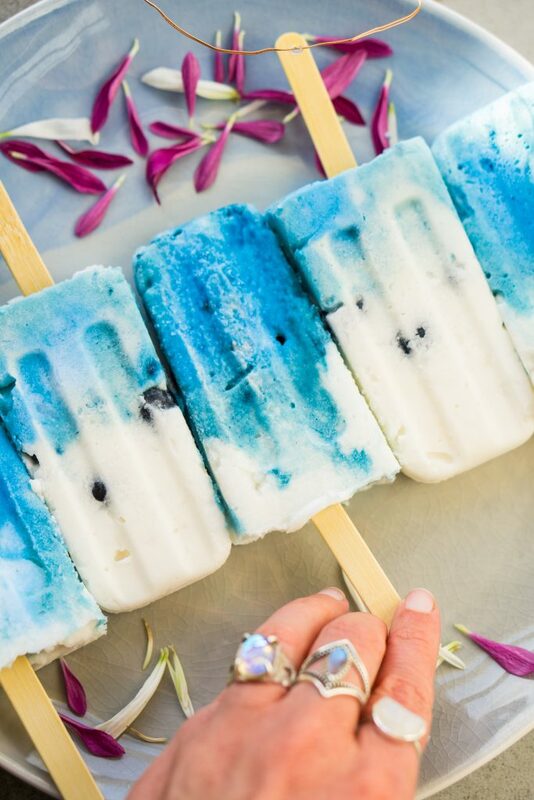 With just a few simple ingredients you can have bright and vibrant popsicles to enjoy. 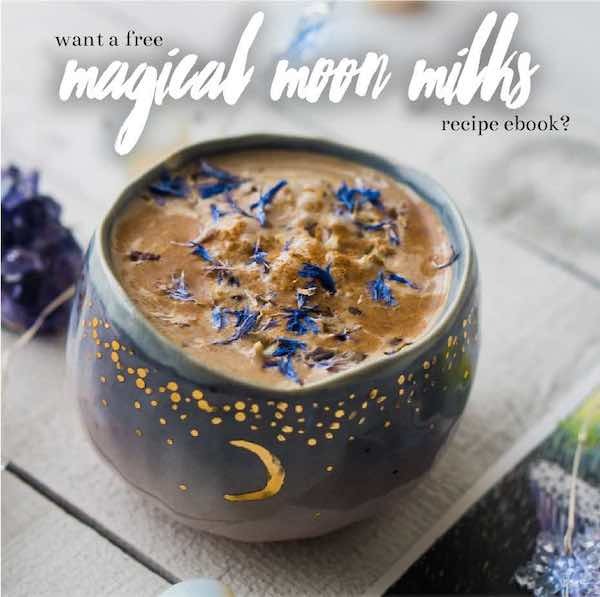 Not to mention jam-packed with nutrients from the blue magik powder. If you have been following along on my blog you know that I have used this product for the past 3-4 years. Think way back to my raw vegan days, but it’s one thing I just won’t give up due to first how beautiful the color is. Second because it’s filled to the brim with good for you benefits. I swear when I was a vegan this stuff saved my life with inflammation and how high the b12 nutrients are in the powder. I would mix with coconut water and just drink it, or put it into a smoothie. Now putting it into popsicles and finding every other way, if I had to pick just one superfood this baby would be it. It’s worth the investment – trust me. 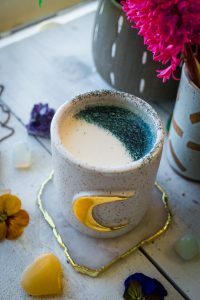 By the way, did you know that e3 live was really founders of spirulina? At least they are the first ones I ever knew of besides I know if I leave one supplement out of my routine this is the one I feel a major difference not taking. It’s also a wonderful ingredient to use with kids, think making all the cookies, drinks, smoothies, cheese, literally all the things. Enjoy! 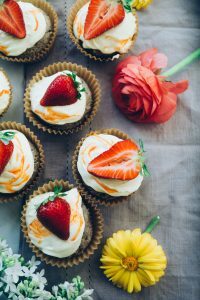 If you are sugar-free feel free to use any sweetener of your choice. spoon your yogurt into the blender and start the blender at a slow speed. slowly start to pour the liquid coconut oil into the mix while increasing the speed. blend into smooth – using the coconut oil here will act as an emulsifier so the fat and ice don’t separate when it freezes. 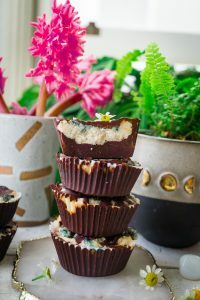 take out half of the batter and add the blue magik powder. 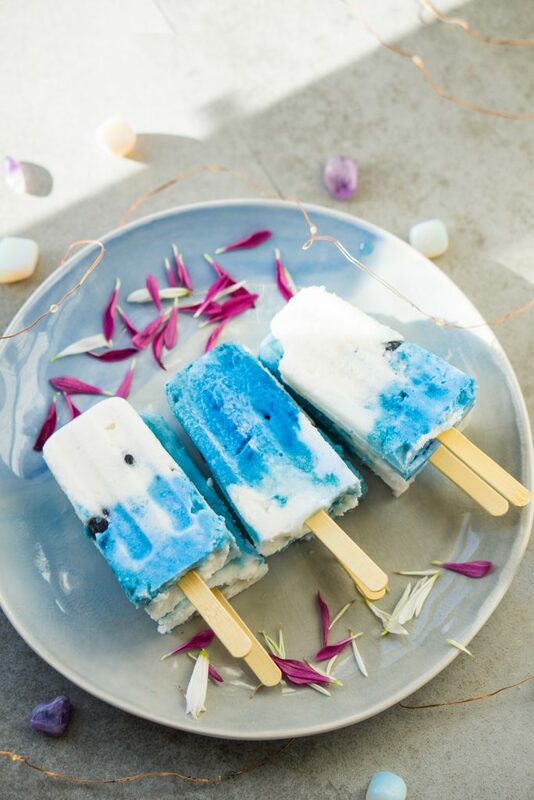 in your popsicles molds add in half of your batter – it is up to you on if you want the white or blue first. halfway through before you put the second color add in 3-5 blueberries. add your second color until the mold is full. take out the next day and enjoy!